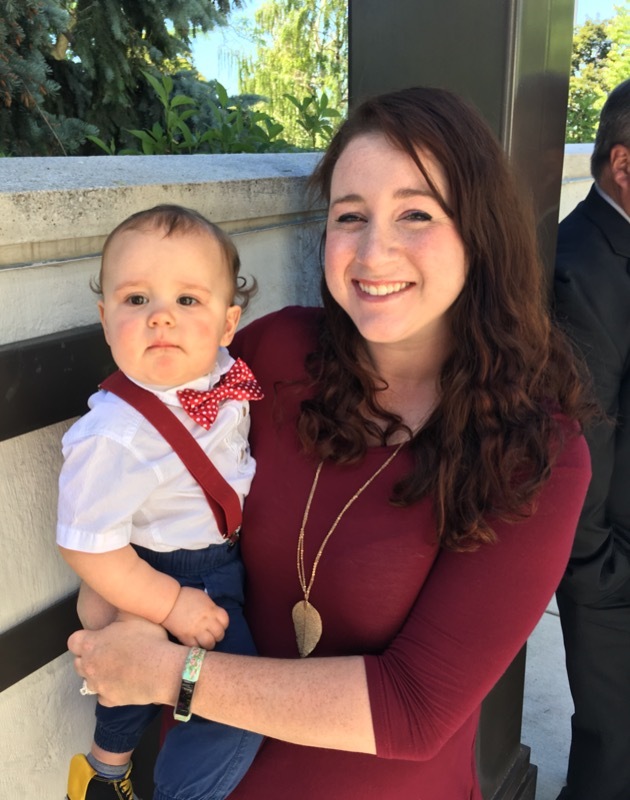 If you follow the blog, you already know that I chose to go back to work after my son was born. It wasn’t an easy decision, but it was right for me and my family. I feel so incredibly blessed to have a job that I enjoy, and that works with my mom schedule, which can get messy at times! 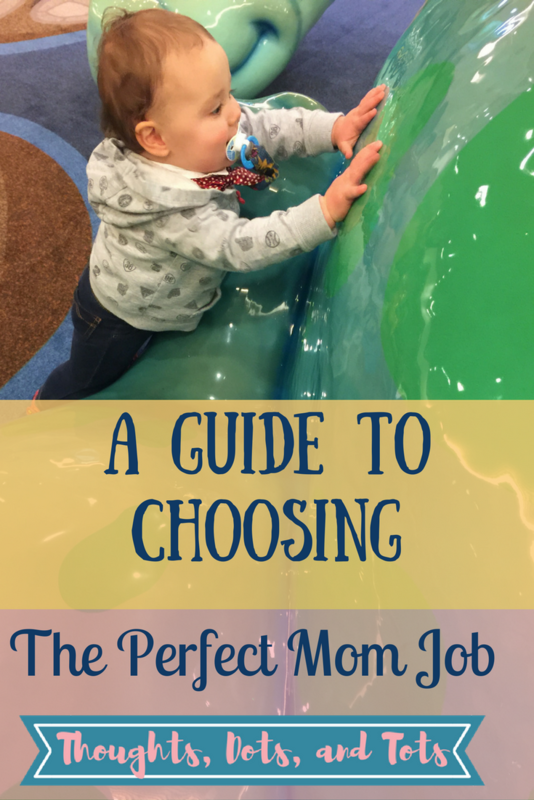 Here are a few things for you to consider when choosing your mom job. Can you come early and leave early every now and again, or take an hour off when you need it? Especially if this is your first child, you will want to be able to take time off for your baby’s doctors’ appointments. And they have tons of those in their first year of life! Babies are frequently ill when they are young, especially if you have them in daycare. There are lots of germs floating around! Do you have the ability to take time off when you need it? Is your employment consistent enough where you can afford to pay the daycare, and where you have a semi-consistent schedule for the childcare provider to work? Most daycares are ok with you switching days around. Some are less flexible. If you have a sitter, their schedule and preferences need to be considered. Many daycares have weekly minimums, (for example, your child must attend at least 3 days a week) and you don’t want to get stuck paying for extra days when you don’t have work, and when you don’t have money coming in. Is the supervisor understanding of your schedule and duties as a parent? I have the absolute best boss ever. She simply asks that my work gets done and that I put in my hours. Other than that, there aren’t many restrictions when my mom duties come knocking. Is the supervisor understanding and kind? I’ve had my fair share of difficult bosses (see the 8 different types of difficult bosses and how to deal with them here), and you don’t need that in your life. Motherhood is hard enough without that. A good boss is incredibly important to having a successful mom job. Can you afford to pay a sitter or a childcare center with what you are earning? Some moms are lucky enough to have family who will watch the kids for free, or maybe a spouse with a schedule that is easy to work around. However, for most families it is not cheap! Quality childcare (no matter what form you choose) is expensive. If you aren’t familiar with childcare rates in your area, then do your research and then do some math. If your wage is on the lower end, you may barely break even. To give you some perspective on this matter, here is an example from someone I know. I was talking to a lady at church a few months ago, and she told me a little bit about her experiences when her kids were young. She explained to me that between the cost of having a second car so she could drive to work, paying the daycare, and the cost of gas to commute, she wasn’t even making $100 a month. Obviously that isn’t worth it at all, and she quit her job. Crunch some numbers, and see how it turns out for you! For some mothers, just having some time away is worth it! Many childcare providers will ask for a higher rate for hours beyond a traditional work day. If you use a sitter it may be hard to find someone willing to watch your child if you work unconventional hours. (Graveyard shifts, exceptionally long or early shifts, etc). How many hours do you want to work? You don’t want to be working way more than you want, or not as much as you need to make ends meet once you consider childcare costs. Whether or not working is a financial necessity for you, the time you spend at your job should be a reprieve from your stressful life as a mom. If you feel absolutely run down and at your wits end at the end of the day, you aren’t going to have the emotional energy that your child needs from you. One of the core components of a successful mom job is that all of your energy and patience aren’t zapped up at work. It’s hard to predict all of these things when you choose employment. The good news is that you aren’t stuck at your job forever if it isn’t a good fit for family life. If you aren’t happy, don’t be afraid to make some changes. What do you think makes a perfect mom job, and do you consider your job cohesive to family life? Let me know in the comments below! Very well put, Hailey! I always looked for flexibility with my schedule and an understanding boss but didn’t think of those other items, unless it was subconsciously! All important things to consider.